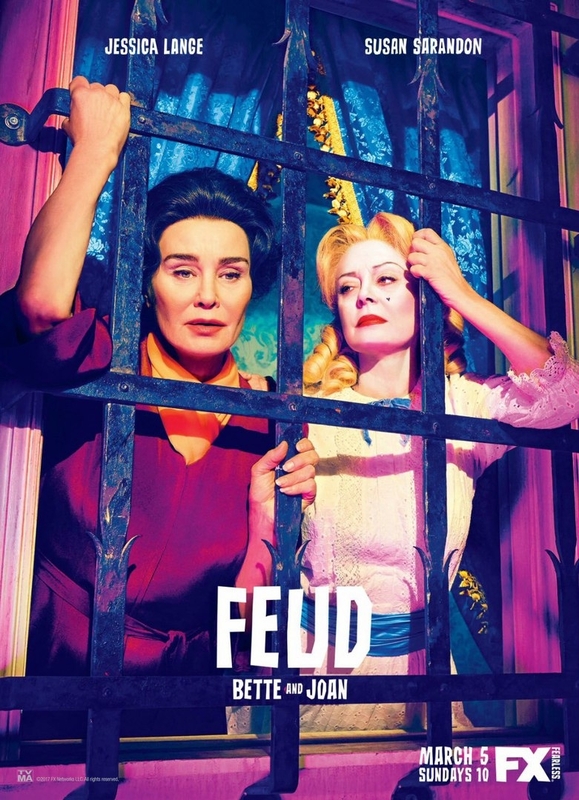 Created by Ryan Murphy, Jaffe Cohen, and Michael Zam, this anthology drama, starring Jessica Lange and Susan Sarandon, explores the notorious rivalry between Bette Davis and Joan Crawford during the production of their 1962 film Whatever Happened to Baby Jane? The cast includes Kiernan Shipka, Alfred Molina, Kathy Bates and Stanley Tucci. The show received a nomination for Best Limited Series, both Lange and Sarandon received nominations for Best Actress in a Limited Series, and Alfred Molina received a nomination for Best Supporting Actor in a Limited Series from the 2018 Golden Globes. The series garnered numerous nominations from the 2017 Primetime Emmy Awards along with two wins for Makeup and Hair for a Limited Series.